Many marketers cringe at the thought of having to put together an RFP at the start of the process when selecting a new email service provider (ESP). 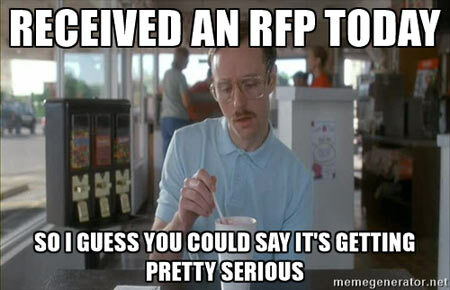 Although I have in the past suggested foregoing the RFP altogether (and we will address that later), there are benefits to going through the RFP process. For one thing, doing your homework upfront will ensure you and your team are clear on your goals. Preparing for an RFP should give you insight into the aspects of your old ESP that caused problems. That means you can avoid those same problems moving forward. The RFP standardizes the questions and criteria, to ensure you’re asking all the ESPs for the same information. An RFP can also be problematic. It’s time-consuming and can be distracting. It can have us comparing apples to oranges without realizing we’re doing so. It can trick you into thinking you’re being productive by rewriting drafts and sitting through demos. The responses can sidetrack you, leading you off on tangents irrelevant to your needs and goals. And the RFP process doesn’t measure everything. For example, if top-notch, responsive customer service is vital to your organization, you won’t be able to gauge that quality of an ESP through an RFP. For many organizations, however, the RFP is essential for selecting vendors and therefore must be done. If the RFP is not to be avoided, then let’s at least take steps to make it as quick, painless and effective as possible. Let’s optimize the RFP process. 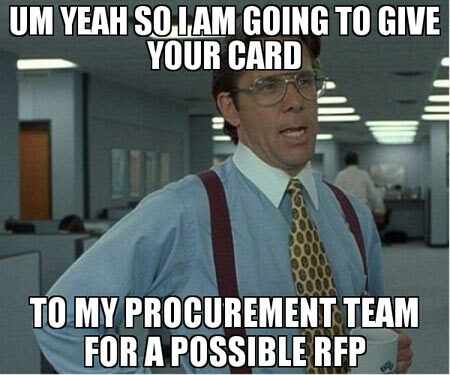 One of the best ways to optimize the RFP process is to limit the numbers of vendors you reach out to. As email consultant Jordie van Rijn points out, every extra vendor you ask to pitch adds more time and effort to the process. Having more vendors also means less effort on the part of those ESPs. If the email software vendors see you’re pitting them against a high number of competitors, they know they have less chance of winning, and therefore won’t put in as much time and effort trying to win your business. With a shorter shortlist, you save time and money, and the ESPs you do include will try harder to win you over. How many vendors? Jordie says your shortlist should include three to five ESPs. That makes sense, right? But then the question is, how do you start with a shorter list? First off, you don’t start with the RFP. 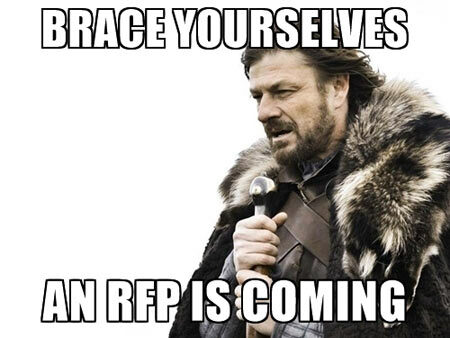 Save the actual RFP for later in the process. Rather than put the RFP first and use that to make your shortlist, make your shortlist first and do your RFP second. To create your shortlist, start with a well-defined list of requirements. Then you do your homework to find potential candidates. After those steps, your three to five ESPs should be obvious choices. The best way to streamline the whole process is to know upfront which capabilities you really absolutely positively have to have, both now and in the near future. You want this ESP relationship to last as long as possible, and the ESP to be compatible with your growth goals. What are you hoping to accomplish in the next 6 months, as well as over the next 3 years? For suggestions of capabilities and questions to consider, download an ESP guide as a reference. Does this feature fit into our roadmap? Will it help us to reach our goals? Can we do the same thing in another way? 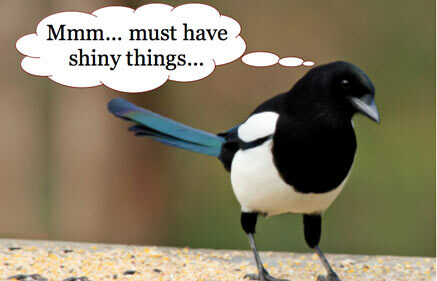 The danger of “shiny things” cannot be overstated. Avoid them and you will definitely save time and money in the long run. If you’re not sure whether a feature is a shiny thing or not, use this scoresheet. Once you’ve determined the features and capabilities you must have to achieve your highest priority goals, stay laser focused on those features. After you’re crystal clear on the capabilities you need, get to know the vendors. Research drives your second step to building your shortlist—a lot of research. Study what’s going on in the industry. Which ESPs do your competitors use? What about other businesses similar to yours in email volume and sophistication? Also look for email programs you admire and find out the ESPs used by those marketers. Use information like the ESP directory or Marketing Automation tools directory to find suggestions you might not otherwise come across. Ask people that have done ESP selections before for their recommendations. As you’re evaluating potential vendors, consider every ESP through the lens of your requirements list. Which ones can likely meet your needs? And remember, times change. The vendors who dominated the space two years ago when you last did an RFP might not be your top picks this time around. Besides, do you really need a big name, top-tier ESP? What about niche vendors? Look at mid-size ESPs too. Is there a mid-market ESP that can handle your email marketing program? Many mid-market ESPs have specialized to serve niche needs, so get to know what they’re offering. By now, you should have a good start on your shortlist, as well as a good start on a very specific and targeted RFP. Is it possible to forego the RFP process altogether? …we are in a world of prove it, show me and hands-on. The feature sets across a Lumascape of 1000 vendors who have email campaign management and mobile/social capability are so generalized, it is hard to distinguish who is good, best or better without simulation testing. David suggests organizations call on ESPs to prove themselves instead of going through the RFP process. I’ve touched on this in an article about avoiding canned demos. The traditional RFP process tends to lead us down the path of predictable answers and generic demos, which can then trick marketers into focusing on price alone because we can’t distinguish other differences. A proof of concept demo, on the other hand, using a use case scenario you’ve assigned to the ESP, will be (or should be) closely adhered to your well-defined requirements list we discussed earlier in this post. Perhaps the alternative to the time-consuming and painful RFP process is to determine your needs, do your homework, create your shortlist, and ask the vendors on that list to prove they can meet your present and future needs. How much easier would that be, for everyone involved?